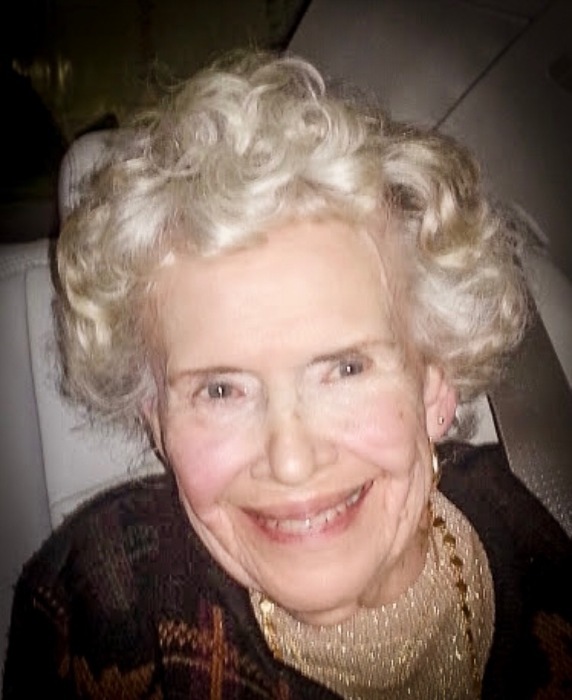 Dorothy Mildred Johnson, 91, of Rhinebeck, passed away on January 21, 2019 at Albany Medical Center with her family by her side. Born in Evanston, Illinois on September 15, 1927, she was the daughter of the late Clinton and Mildred (Smith) Stewart. Dottie grew up in Burien, Washington outside of Seattle where she graduated from Highline High School in 1945. It was in Seattle that she met Quentin Johnson, who was in the Navy, while she and her sisters entertained servicemen in the USO during World War II. They wed on February 1, 1947 in Seattle and came to Rhinebeck in 1949. Before starting her family, Dottie worked for the New York Telephone Company as a switchboard operator. After her children were grown, she was an administrative assistant at Rhinebeck Baptist Church for many years. In between, raising her children was her priority. A true matriarch, Dottie helped influence and inspire those around her daily. Her fierce loyalty to her family and friends was second to none. Anyone who had the opportunity to know her found her love to be genuine, her wisdom to be sound, and her humor to be infectious. Survivors include sons Thomas S. Johnson (Monique) of Rhinebeck, Kent S. Johnson (Lynn) of New Jersey and Quentin Paul Johnson (Patty) of Salt Point, daughter Catherine A. Johnson-Tully (Roger) of Rhinebeck, and grandchildren Peter Johnson, Connor Johnson, Parker Johnson, Paige Johnson, Kirsten Johnson, David Johnson and Will Johnson Tully. She is also survived by sisters Patti Burgess and Joan Dehn-Whidden and brother Milton “Mick” Stewart, all of the greater Seattle area, as well as many nieces and nephews. Dorothy was predeceased by her late husband of 62 years, Quentin Johnson. A memorial service will be held at St. Paul’s Lutheran Church of Wurtemburg, 371 Wurtemburg Road, Rhinebeck on February 16, 2019 at 11:00am. Inurnment will follow at the Wurtemburg Cemetery. Arrangements are being made by the Dapson-Chestney Funeral Home, Rhinebeck. In lieu of flowers, memorial donations in honor of Dorothy can be made to the Hillside Fire District, 11 Fox Hollow Road, Rhinebeck, NY 12572.